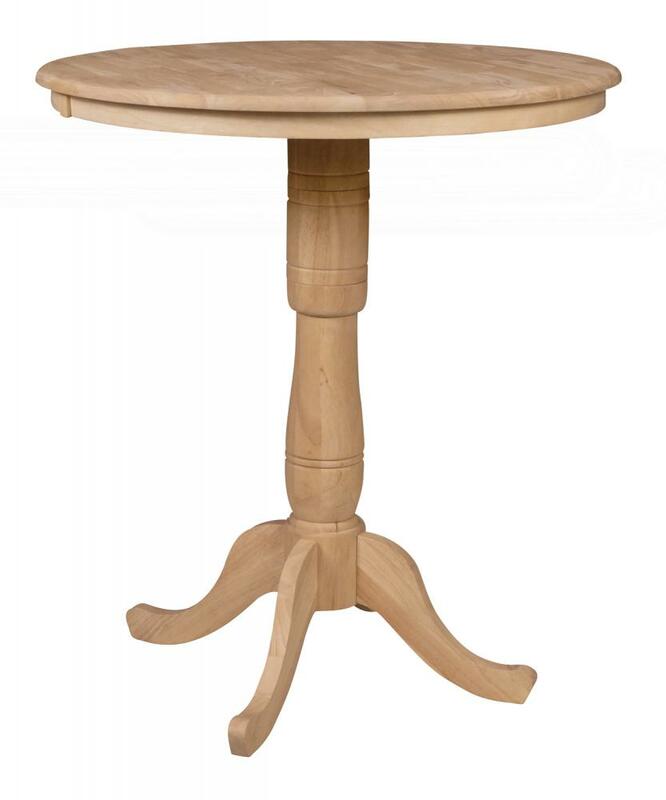 Solid Parawood, Priced as 42" Round (pictured with 36" Round) 36" High. Priced Here Unfinished, Also Available in Your Choice of Factory Finish. Some Assembly Required.